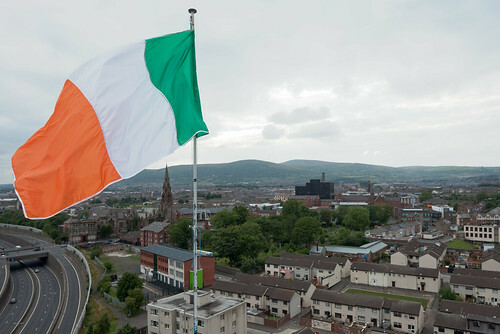 From July 10-14, I explored Belfast, Northern Ireland with Brian Ashby, Ben Kolak and some extremely helpful Belfast residents. 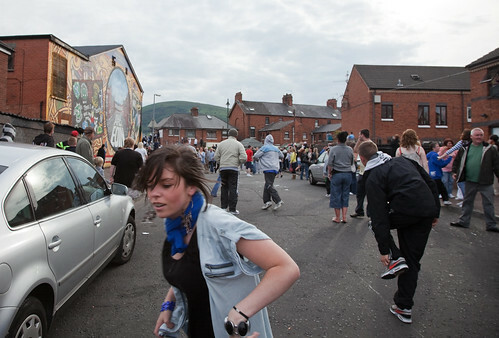 The weekend is particularly important to the region because of The Twelfth. 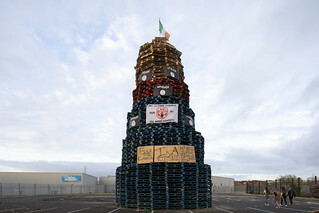 The Twelfth is a day during which members of the Orange Order, composed of Northern Ireland’s Unionist Protestant population, march throughout the city to celebrate a historical Protestant victory over Catholics (and to achieve some contemporary objectives). 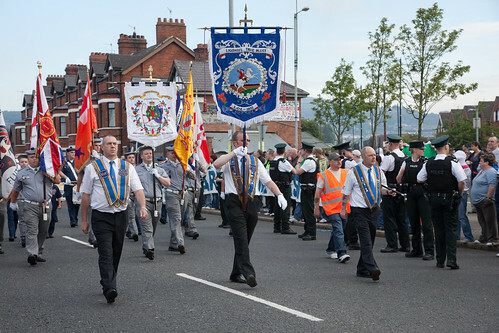 Most controversially, they march through the city’s Republican Catholic neighborhoods in that spirit of victory. 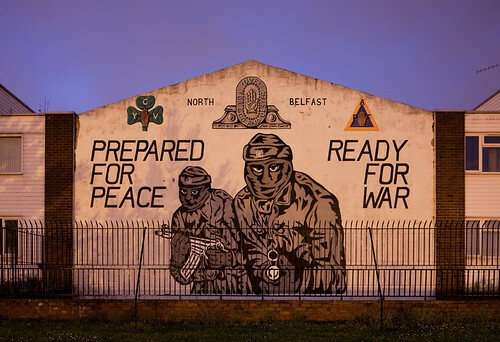 As one might expect, the marches are not received well in those neighborhoods, particularly given centuries of conflict and the more recent Troubles. 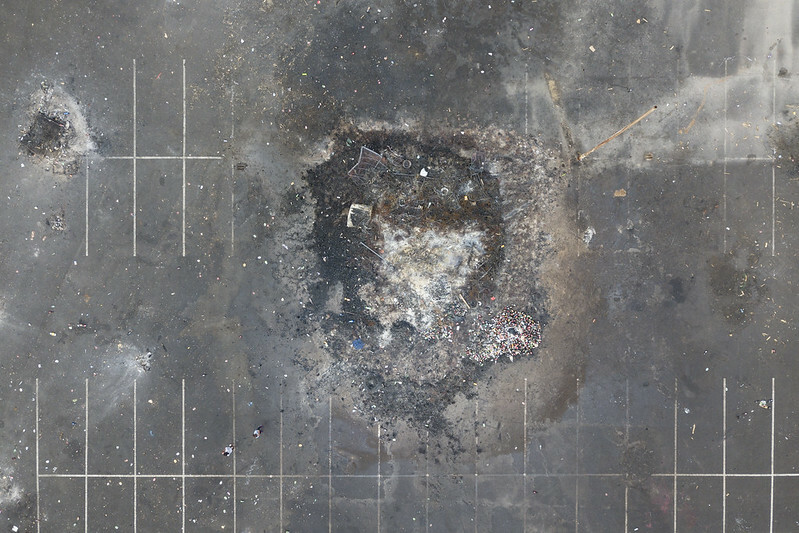 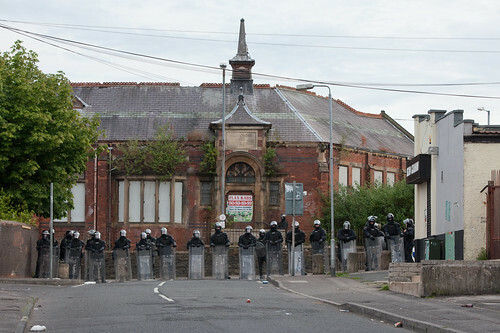 As of July 15, riots continue. 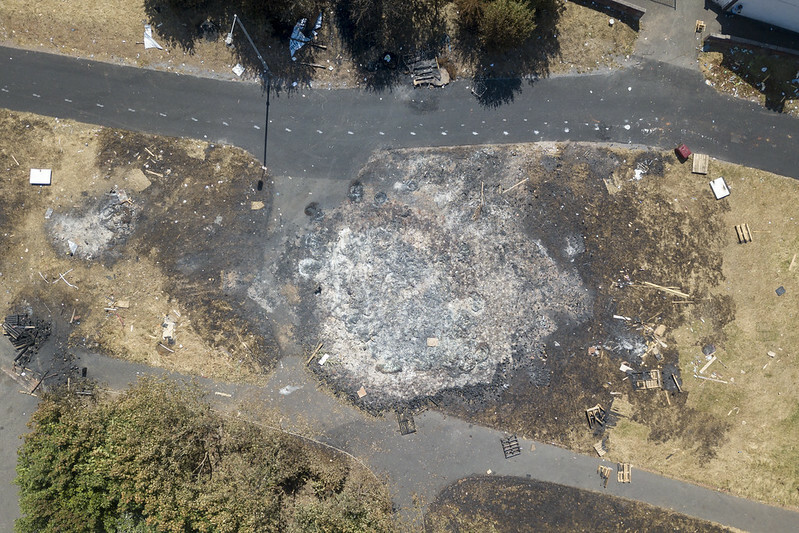 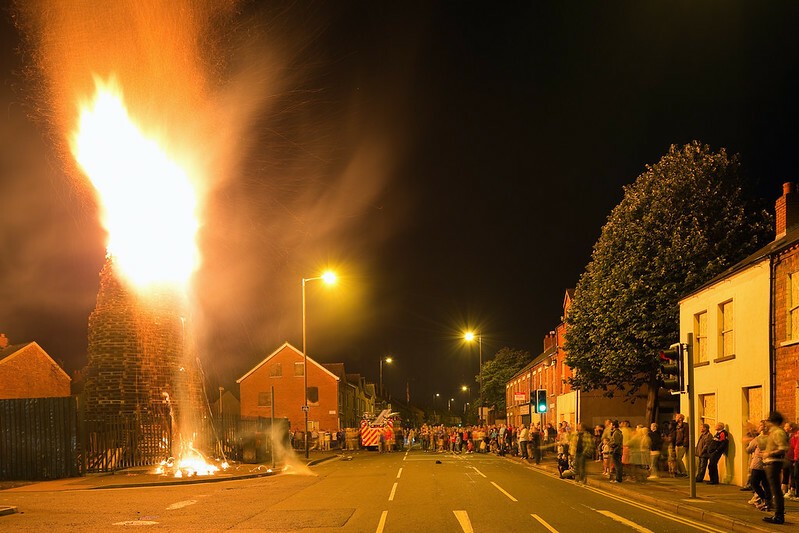 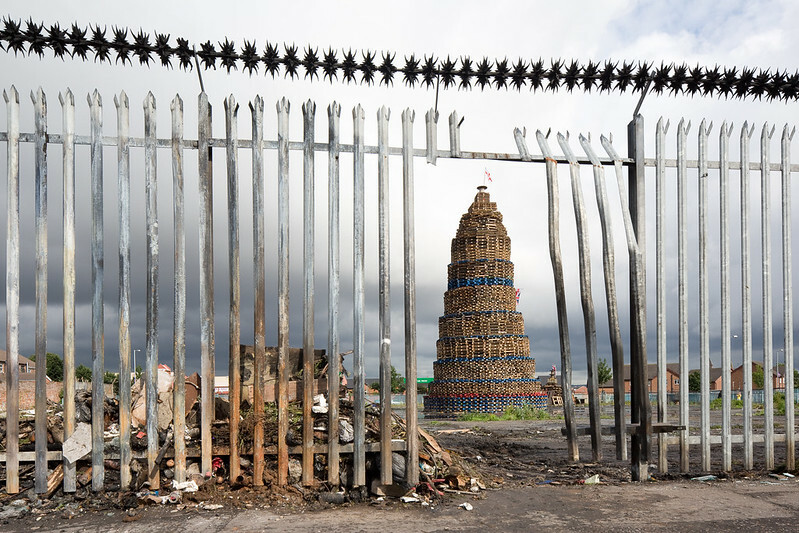 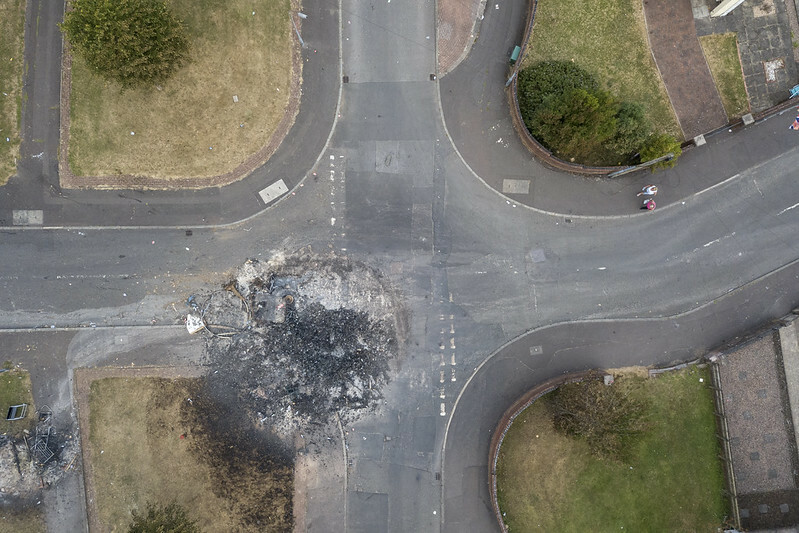 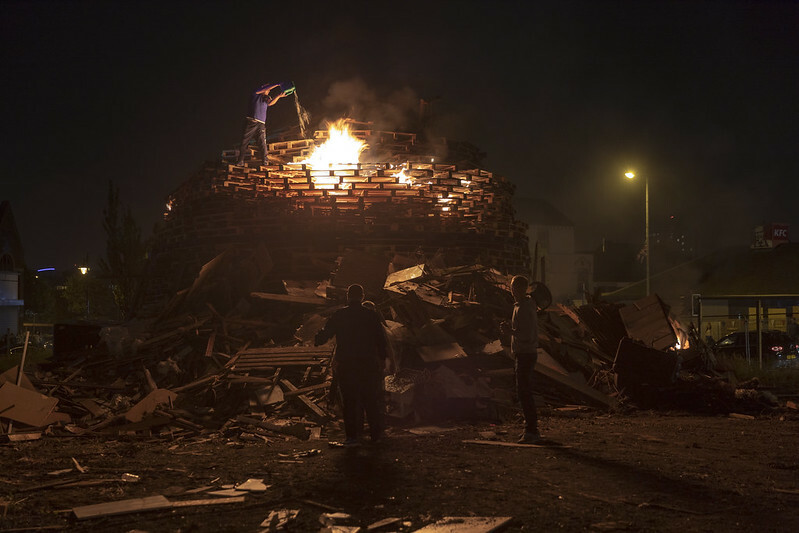 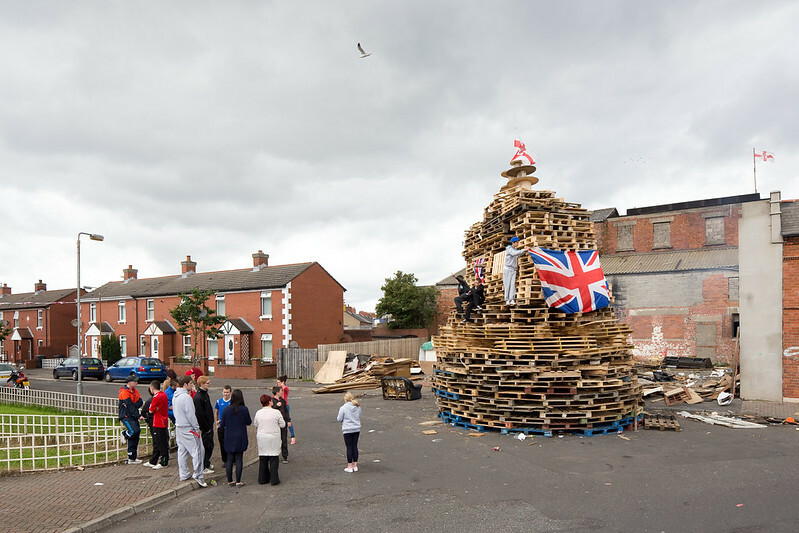 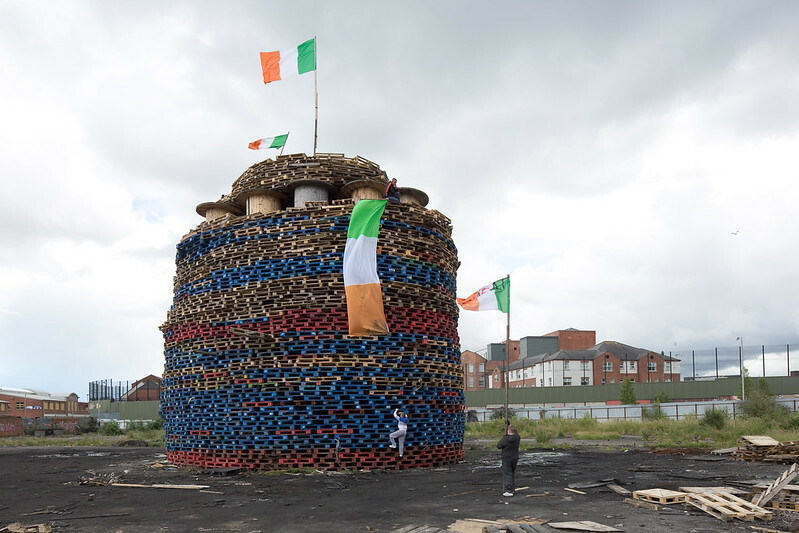 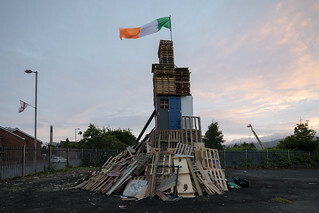 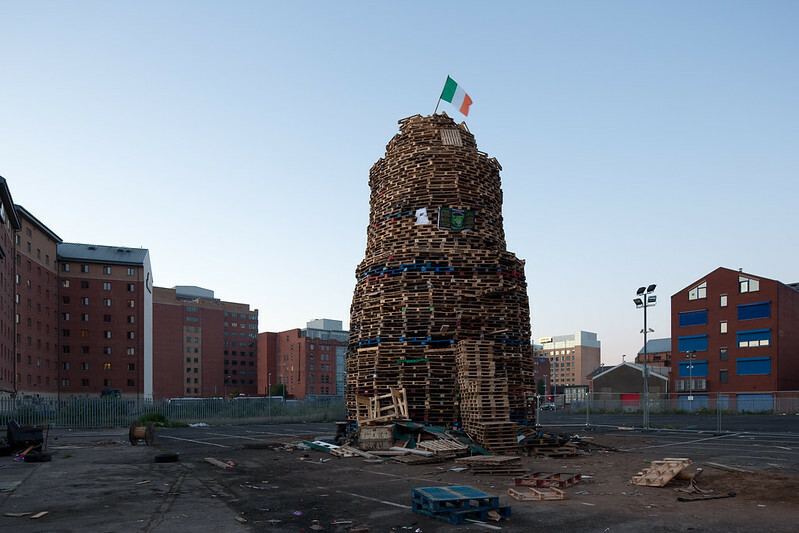 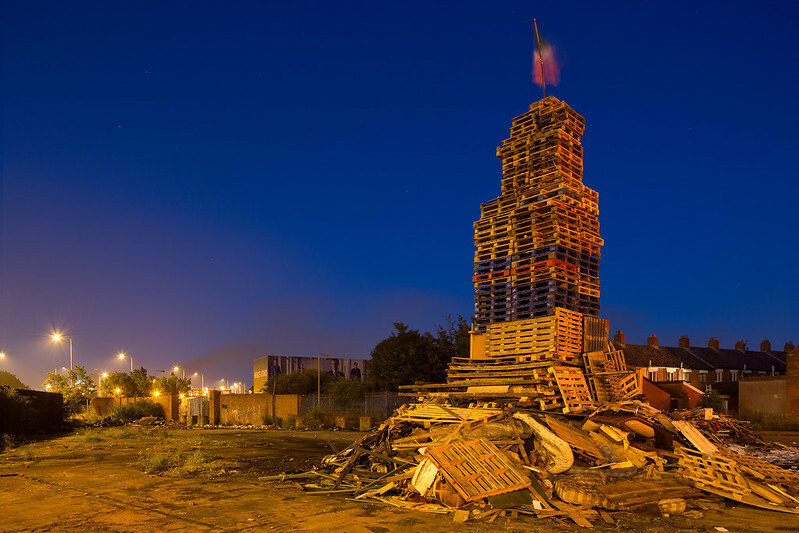 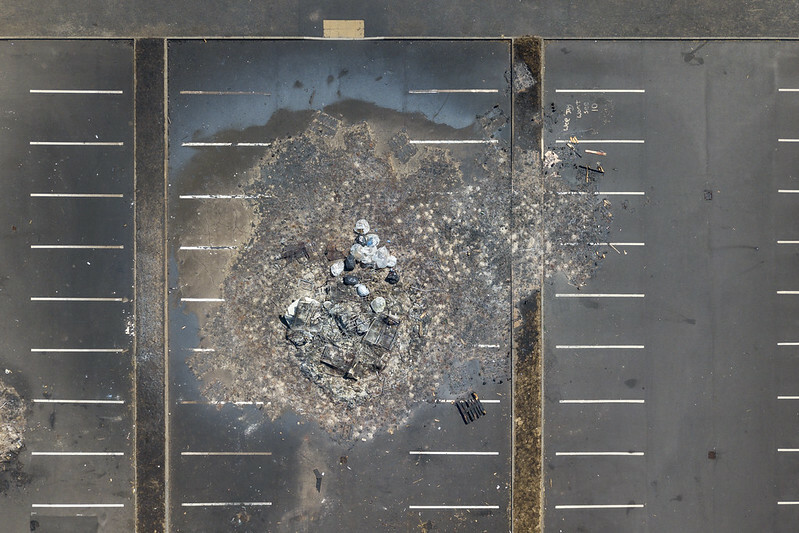 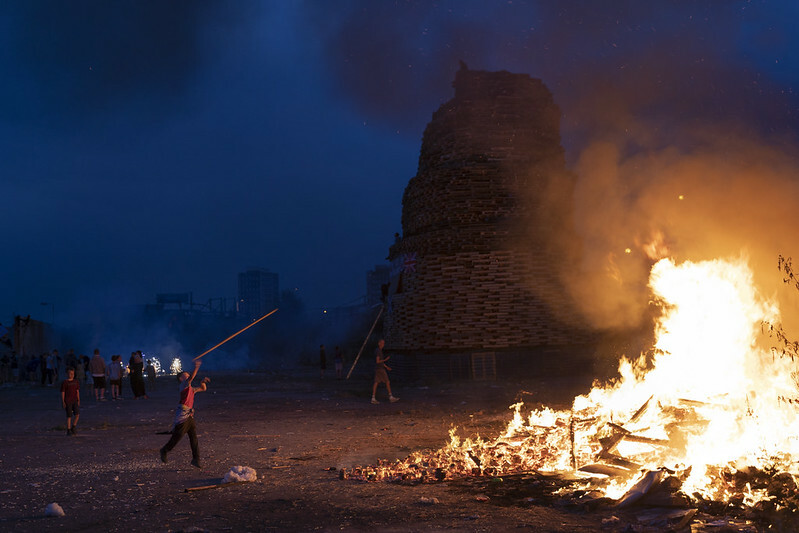 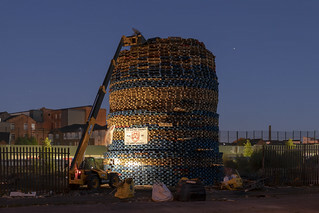 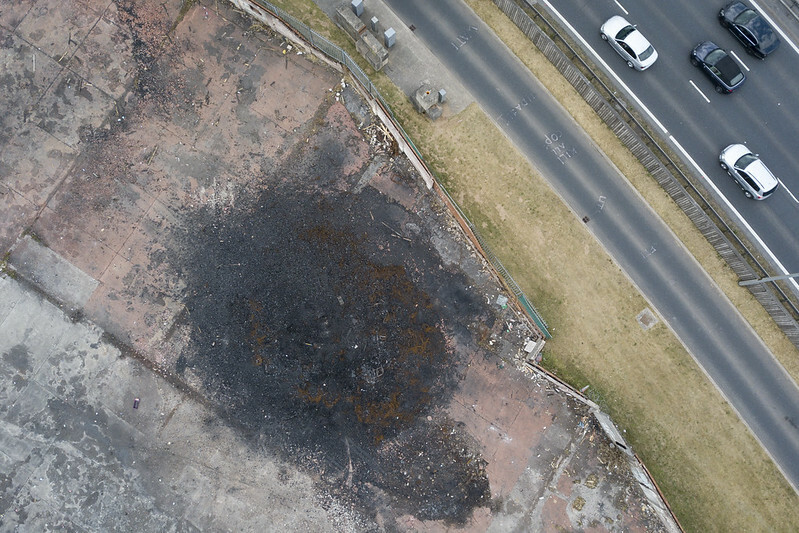 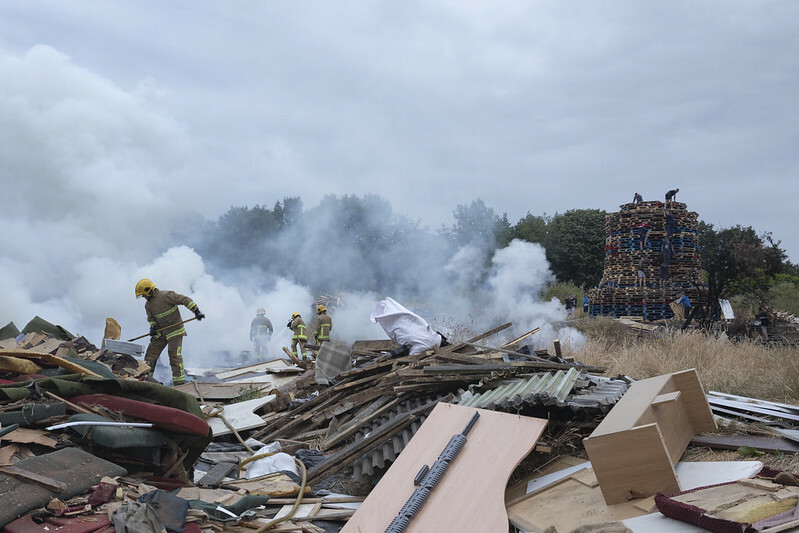 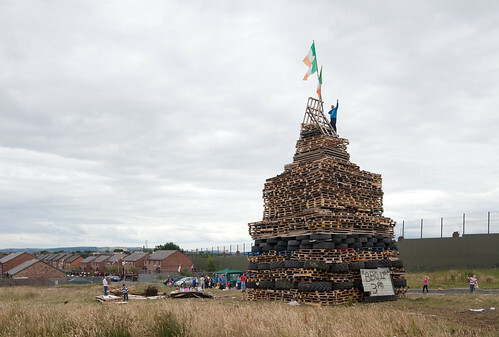 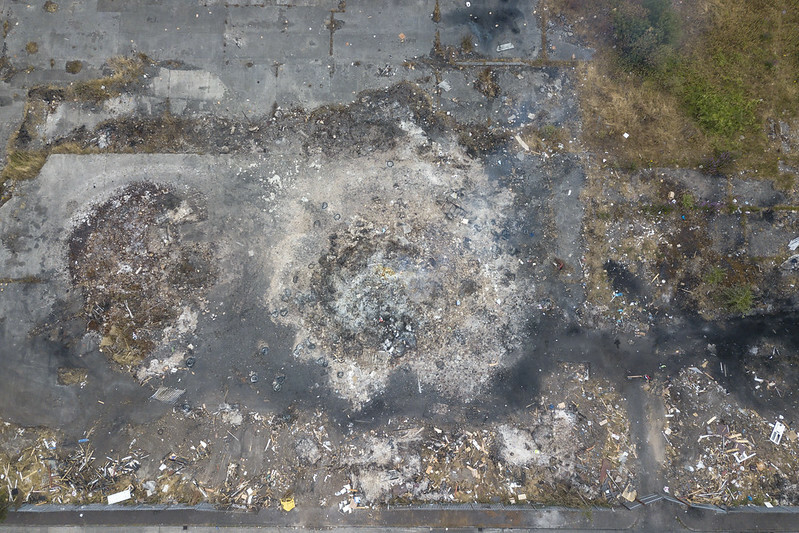 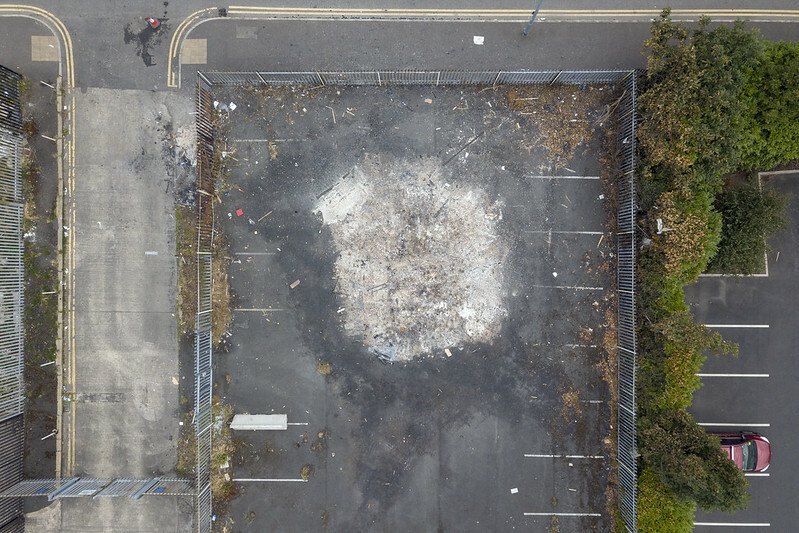 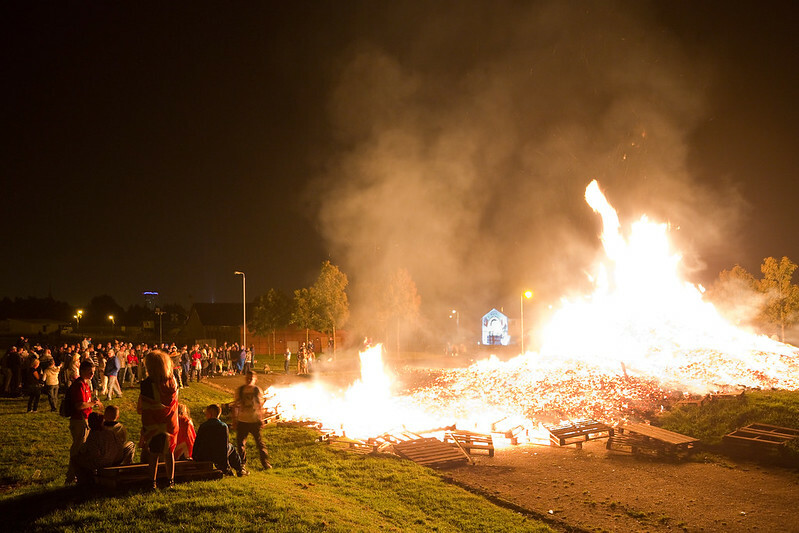 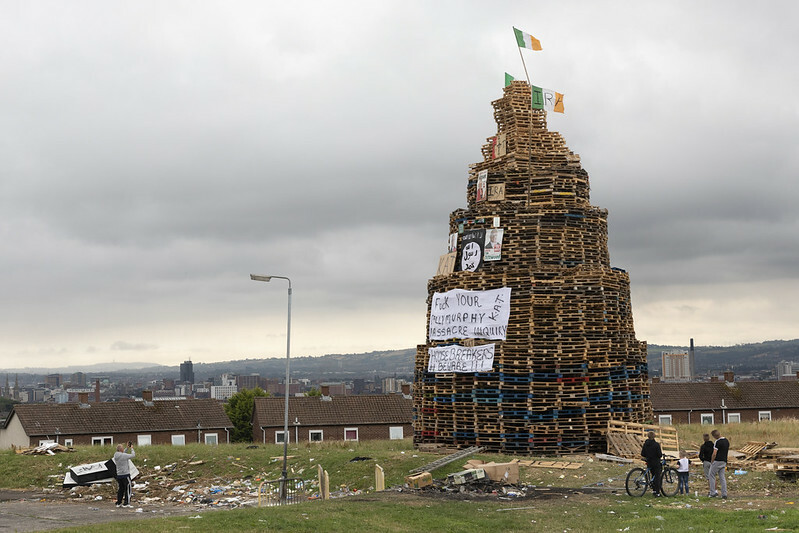 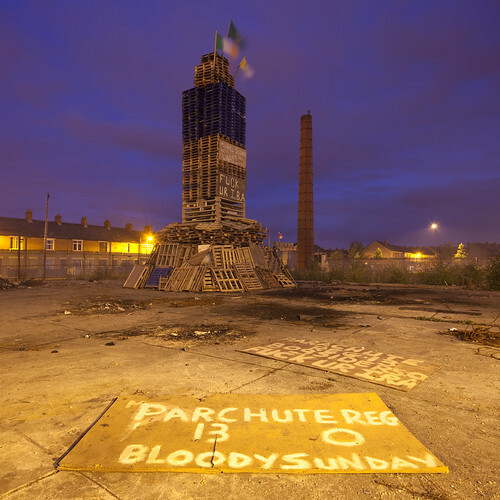 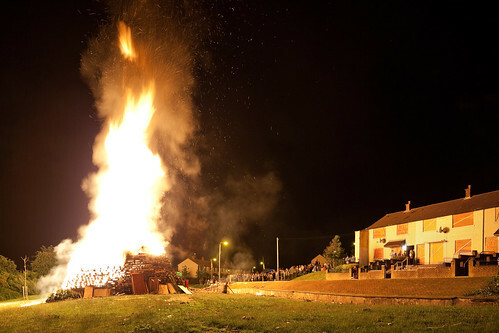 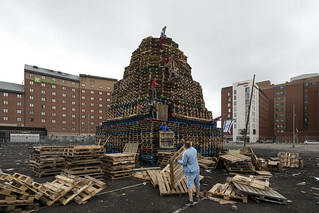 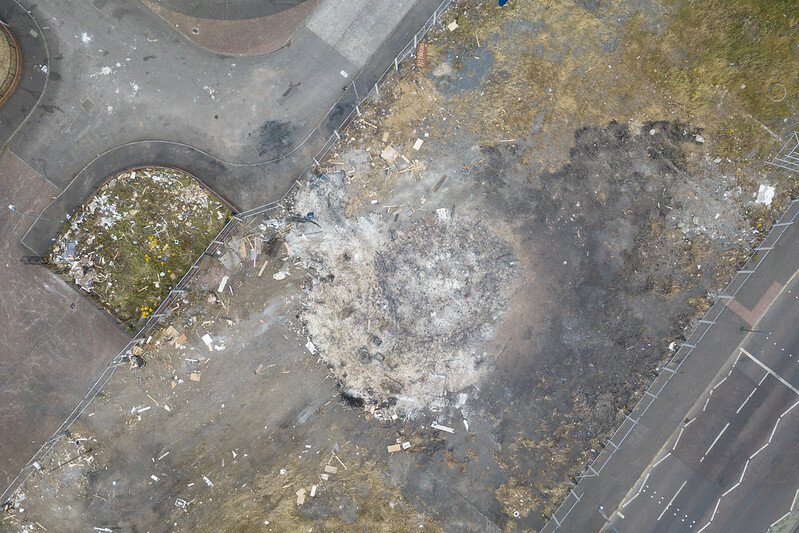 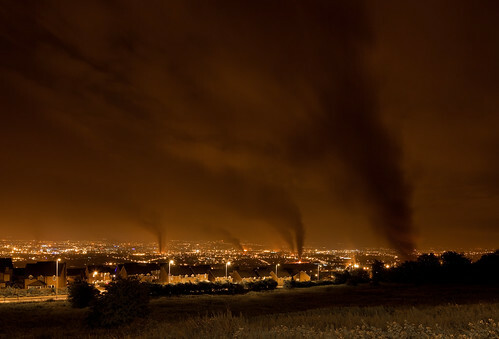 The Twelfth is typically preceded by Eleventh Night, on which Unionist Protestants ignite massive bonfires throughout the city for historical and (as is clear in this photo set) very contemporary political reasons. 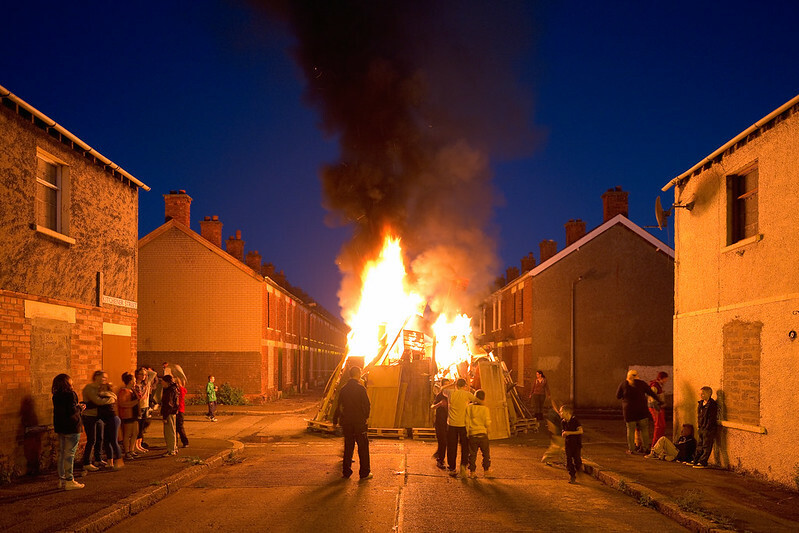 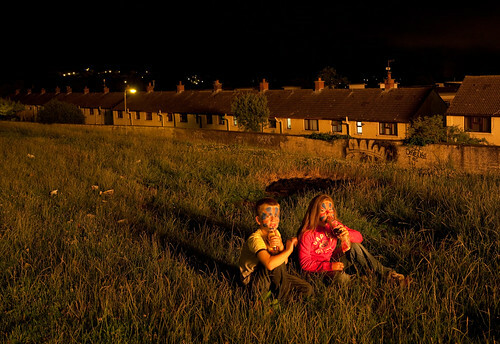 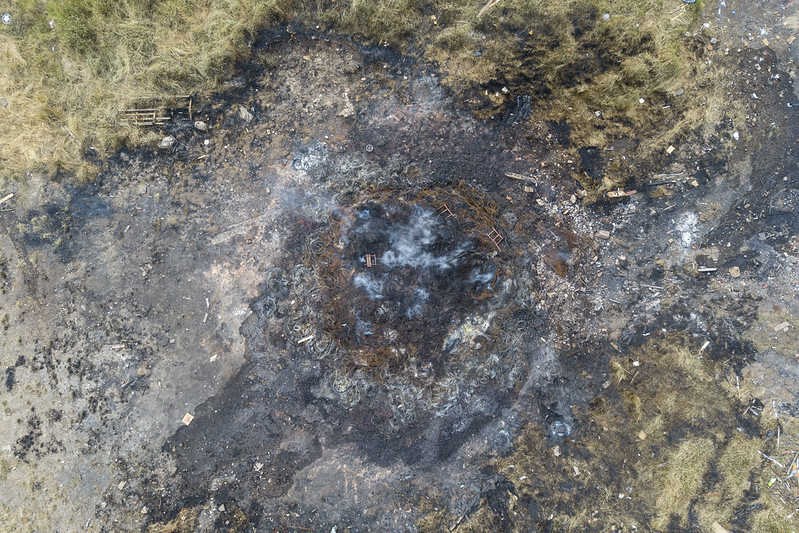 Because the Eleventh Night fell on a Sunday this year, the bonfires were not lit until midnight on the Twelfth. 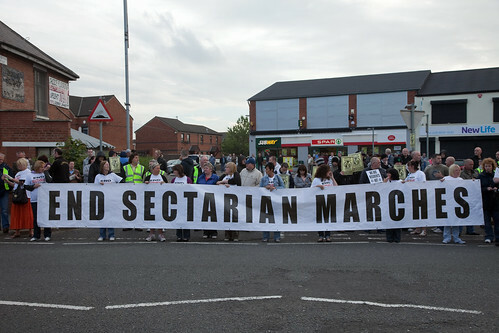 As such, the marches were held just a few hours after the bonfires died down. 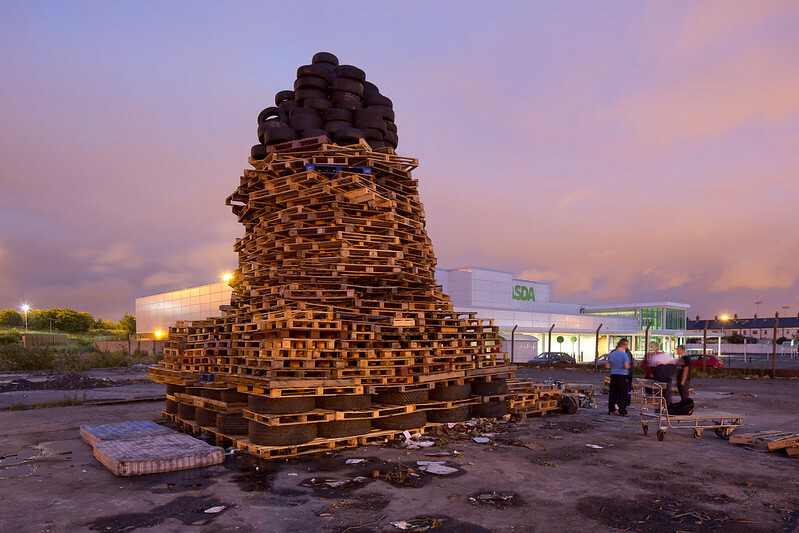 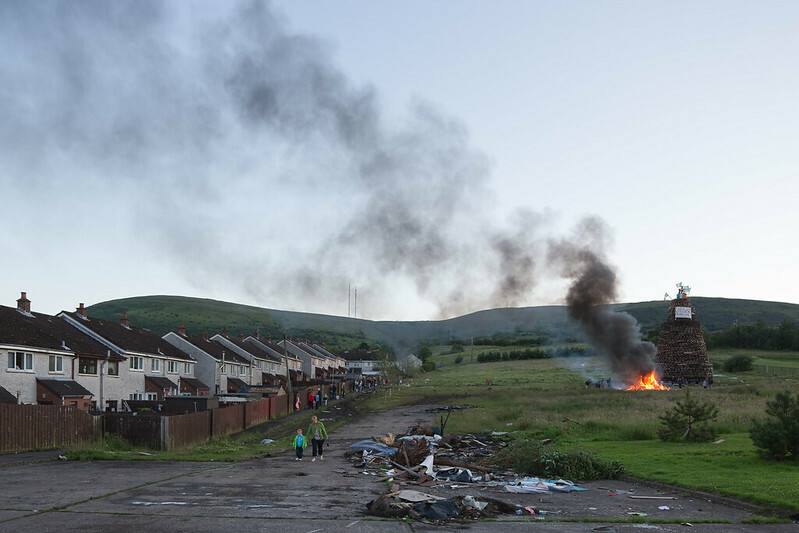 I’ve tried to set those events against a backdrop of the physical elements of Belfast that reflect the city’s often starkly segregated social landscape. 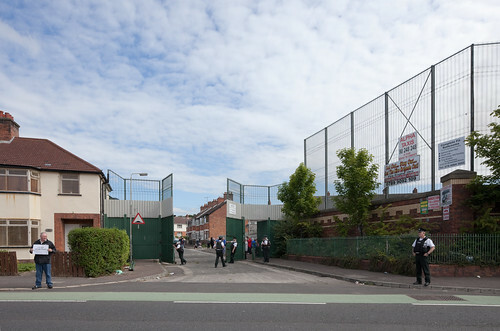 A selection of images are below, and you may also see additional images on my official Belfast series page or an unedited selection on flickr.